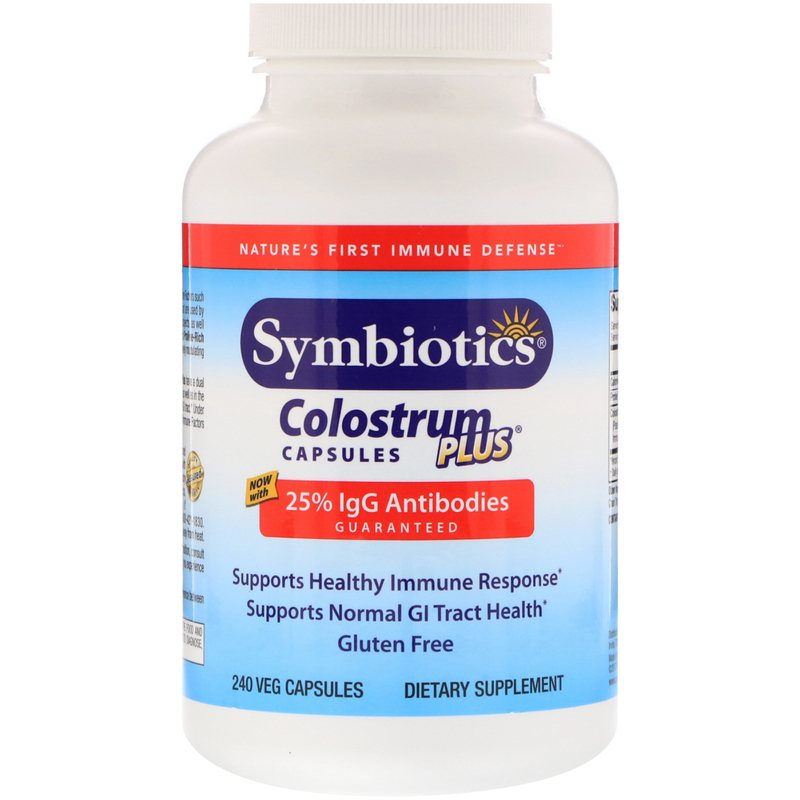 Symbiotics Colostrum Plus features key natural Immune Factors such as Immunoglobulins, which are types of protein that are used by the immune system to identify and neutralize foreign objects, as well as Lactoferrin, which is a multifunctional protein and Proline-Rich Polypeptides, which have a very powerful effect in actively modulating the immune response. 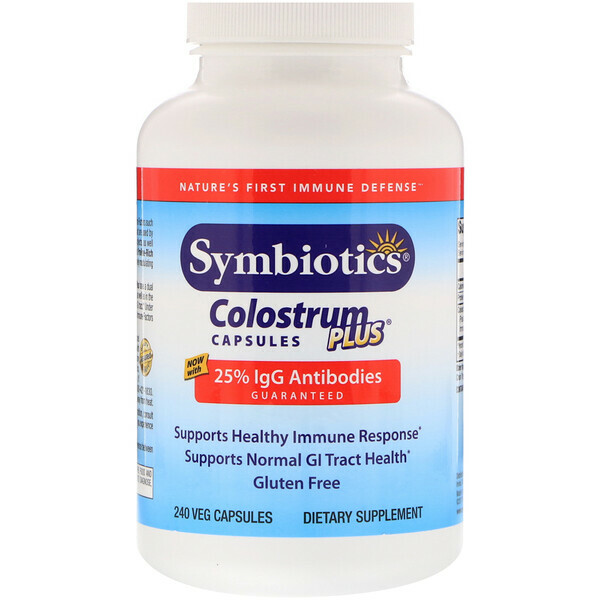 The Immune Factors found in Symbiotics Colostrum Plus have a dual action effects, work systemically throughout the body, as well as in the GI tract, by maintain healthy intestinal flora in a normal GI tract. 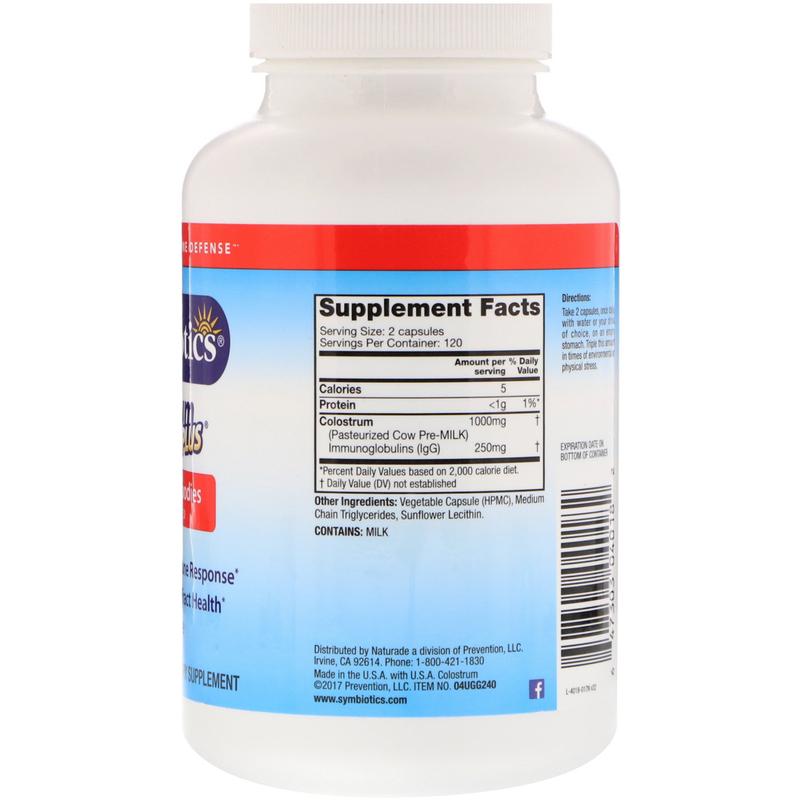 Under the Symbiotics label, minimum levels of these important Immune Factors are verified by laboratory testing. Quality and Purity Assured. Our colostrum is sourced exclusively from the first milking of cows not treated with rBST^ at USDA Grade A Dairies. All colostrum is laboratory tested and verified free from pesticides and antibiotics. Each bottle is double sealed for quality and safety. Vegetable capsule (hpmc), medium chain triglycerides, sunflower lecithin. If either seal is broken or missing, do not us. Close tightly and store in a cool, dry place (below 75°F), away from heat.